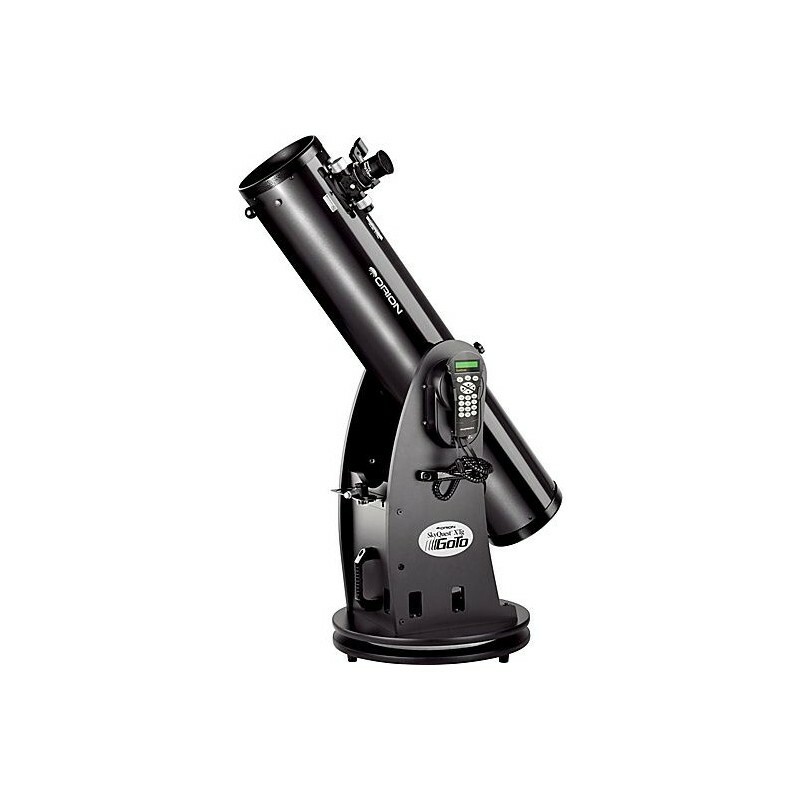 Innovative GoTo Dobsonian reflector telescope with fully motorized object location and automatic tracking of over 42,000 celestial wonders! Orion Dobsonians have always been known for superb optical and mechanical quality, wonderful ease of use, and remarkably affordable prices. One other thing they - and almost all other Dobs on the market - have had in common: you pushed the telescope to your observing target by hand. Until now. 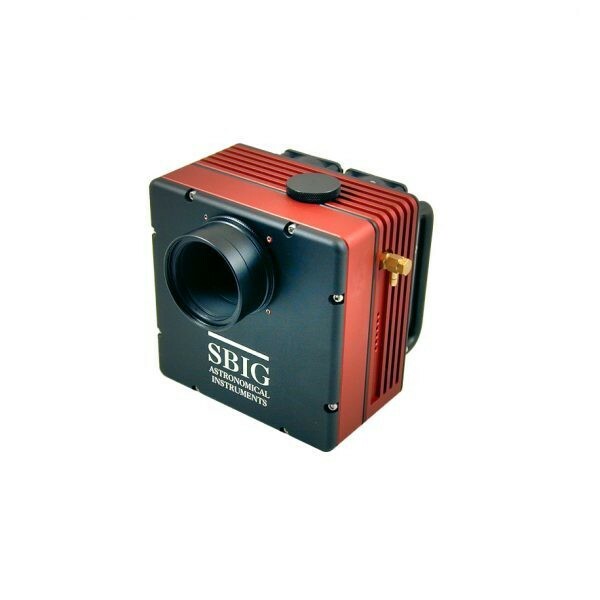 Orion has heralded another giant leap in Dobsonian evolution with the SkyQuest XTg series of fully motor driven GoTo Dobsonians. 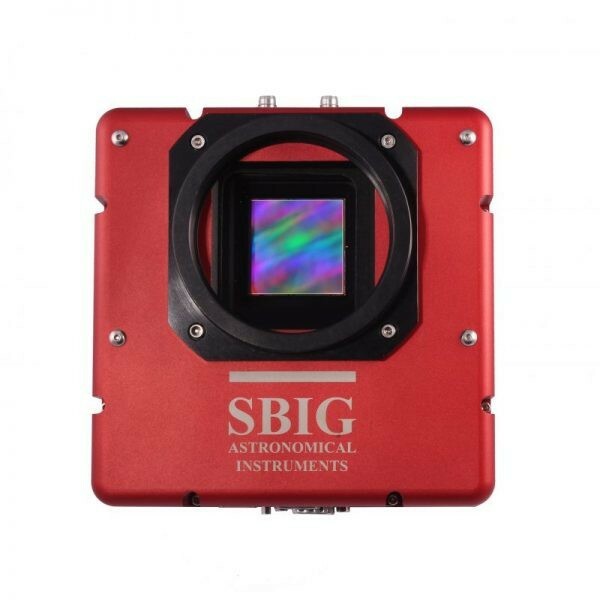 Now, pointing a Dob to even the most elusive of NGC curiosities is as easy as pushing a button or two on the XTg Dobsonian's illuminatedGoTo hand controller. 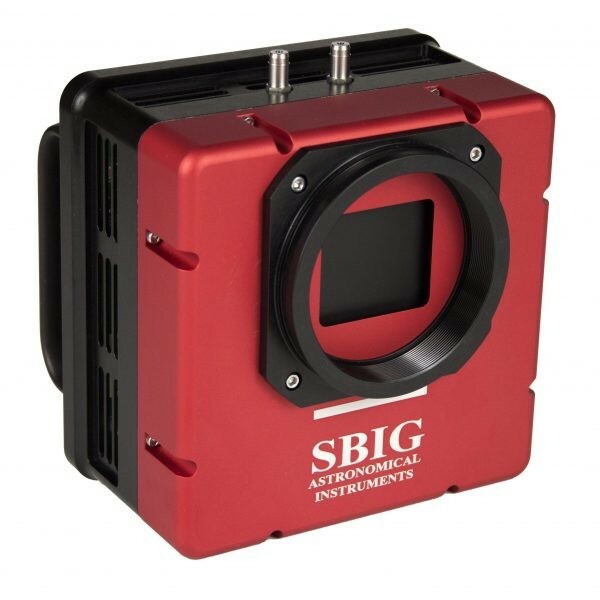 High-torque servo motors guided by two pairs of high-resolution encoders then slew the telescope right to your object of interest - any of over 42,000 objects in the GoTo controller's database. 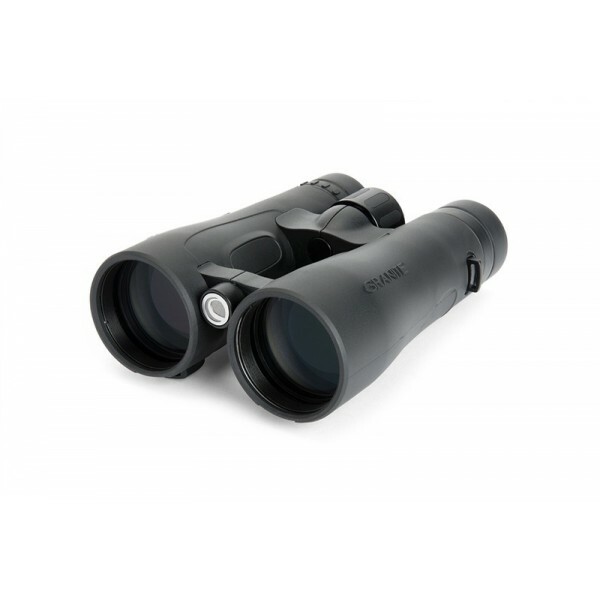 No more nudging the telescope tube continuously to keep the object from drifting out of the field of view, either. The XT8g automatically tracks the object's motion, keeping it centered in the eyepiece while you savor the view. 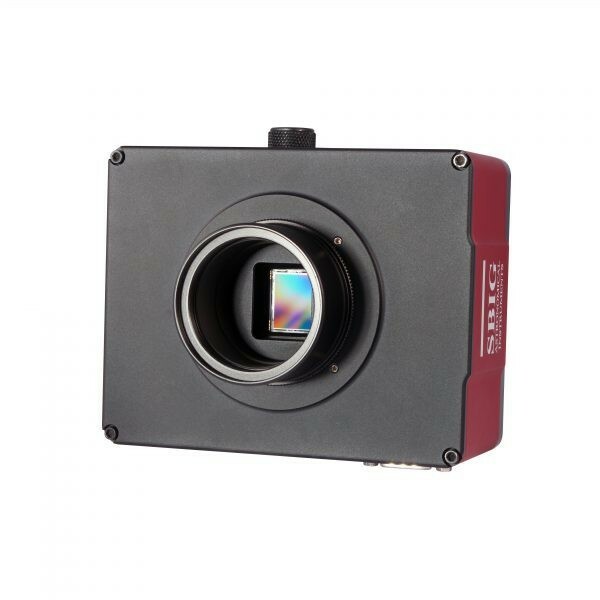 What's more, the closed-loop electronics of the XT8g let you aim the telescope manually - or endure the accidental bump - without losing orientation for accurate, automated GoTo pointing! The SkyQuest XT8g combines GoTo pointing convenience with excellent portability and an amazingly affordable price. 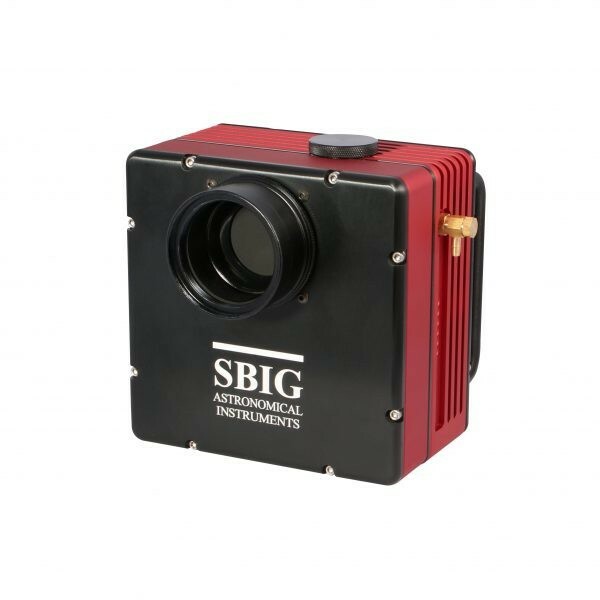 It features a 203mm (8") aperture, 1200mm focal-length parabolic mirror (f/5.9) made from low-thermal-expansion optical glass. 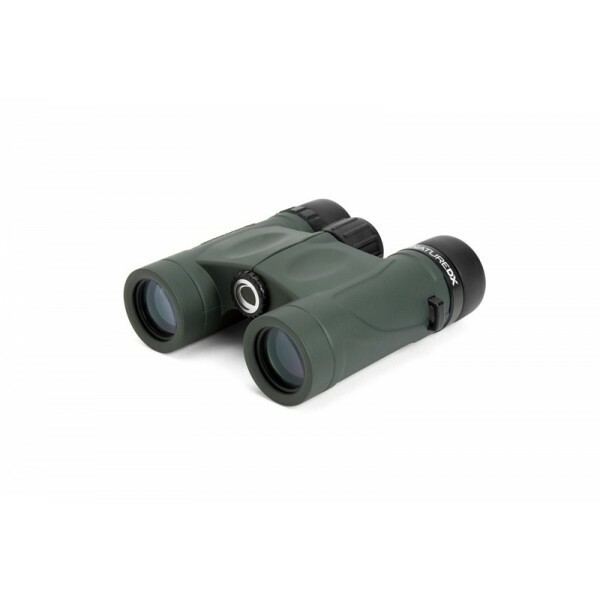 Enhanced reflectivity (94%) aluminum mirror coatings yield bright, high-definition images. The 8" primary mirror is center-marked to make precise alignment of the optics (collimation) easier to achieve. 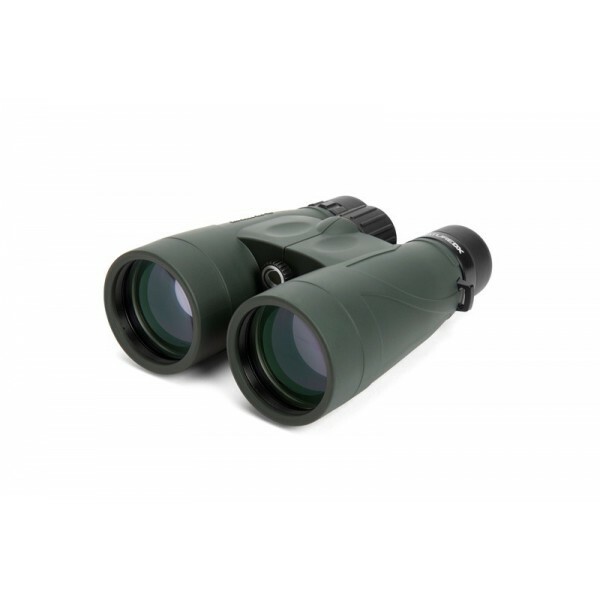 The reflector telescope's open mirror cell design facilitates efficient cooling of the mirror to ambient temperature. 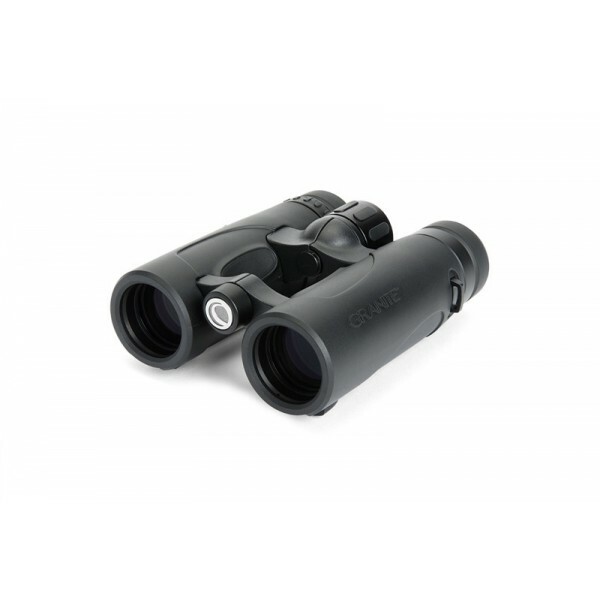 To cool down the telescope optics even more quickly, the XT8g mirror cell features threaded holes that accept an optional cooling accelerator fan (sold separately). The XT8g telescope optical tube drops into the Dobsonian base on a dovetail trunnion and locks in place with a single hand knob. A simple two-star alignment is all it takes to orient the telescope to the sky for GoTo operation. Then let the fun begin! When you're ready to call it a night, just loosen the knob and lift the tube off the base for easy transport or storage. Handles on the Dobsonian base's front and side panels make it easy to lift and carry, whether you're going from car to field, or from house to backyard. 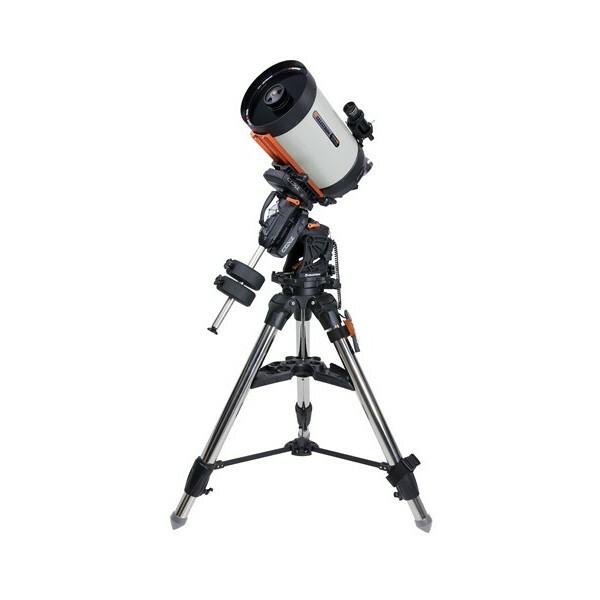 The Orion SkyQuest XT8g GoTo Dobsonian also includes an EZ Finder II reflex sight, eyepiece rack for one 2" and three 1.25" eyepieces, hand controller bracket, quick collimation cap, and a digital download insert for Starry Night SE astronomy software. 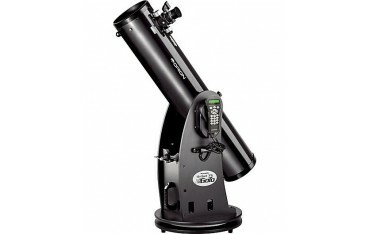 The XT8g Dobsonian requires power from a 12-volt DC field battery or AC adapter, sold separately. 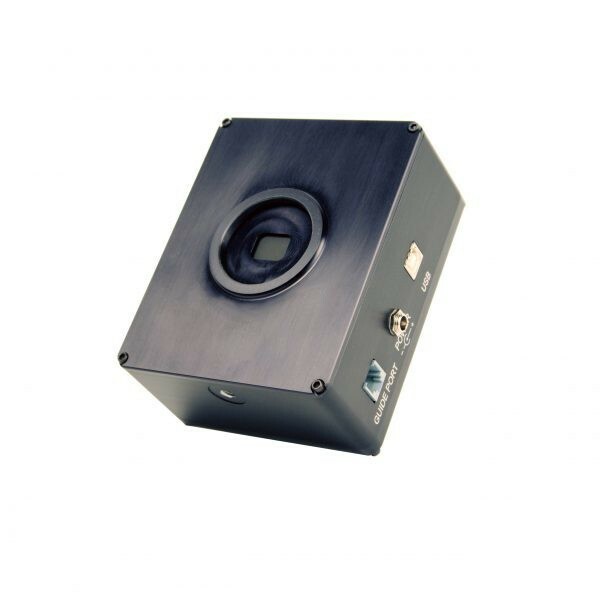 A DC cable is included that has a car lighter style plug for connecting to your 12-volt DC power source, and a coaxial plug for the power jack on the Dobsonian base. 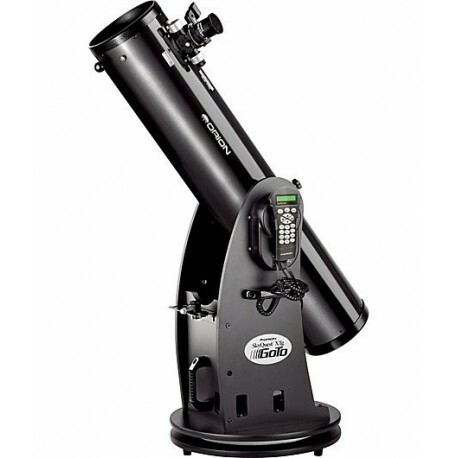 If you enjoy hunting down views of elusive deep-sky objects and want a big telescope without a high price tag, a Dobsonian reflector is the way to go. And now, finally, you can have one that offers the convenience of motor driven accurate GoTo pointing - to anything in the heavens you'd like to see! Make your next telescope the Orion SkyQuest XT8g GoTo Dobsonian reflector!